The super energetic "Siddharth Jadhav" who has been successfully working on all form of entertainment medium from Tv, theatre to movies is best known for his comedy roles is coming up with a new film "Manus Ek Maati" where he will be seen in an intense role. On the occasion of Republic Day Siddharth Jadhav revealed the first look of the film. 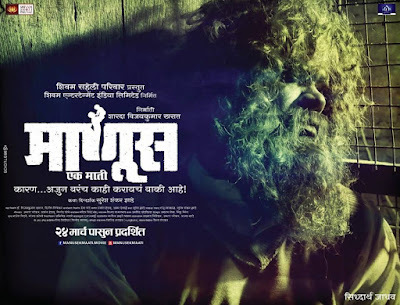 From the poster of movie 'Manus Ek Maati' we can make out that the super talented actor who is making his audience crazy with his performance in his ongoing play "Gela Udat" will be seen essaying the serious role of an old man. Along with the star cast of Ruchita Jadhav, Ganesh Yadav, Swapnil Rasekar, Vilas Ujawne and Harsha Gupte. The film is begin directed by "Suresh Shankar Zade" and produced under the banner of Sharda Vijaykumar Kharat's "Shivam Entertainment India Ltd". the movie promotion has been started and will be releasing in theater on 24th March 2017.